Nearly every avid theme park fan I know has a collection of some sort. Shot glasses, park maps, plushes and more. Me? I collect books. What has now become a small library started at a very young age, I’d read Disney’s Official Birnbaum guides from cover-to-cover and would pick up every copy without fail. As time moved on, I’ve acquired dozens of books on theme parks and there has always been one question that rarely gets answered in depth, if ever: how do theme parks really get built and designed? Sure, there are tons of books filled with great stories on how they were inspired to create this attraction. There are horror stories on how they weren’t going to make it to opening day, concepts that were never used and trivia on the history and hidden details of your favorite park. However, none of these books ever seem to cover the nitty gritty on just how you put a project together as vast as a theme park. What kind of rides do you need? How do you determine ticket prices? How do you determine park’s capacity? All of these questions and dozens more can be answered in the book “Theme Park Design” written by David Younger. I recently got a chance to interview Younger on how this book came about, what lessons can be learned and just how BIG this book really is. Enjoy! How did you come up with the idea for an all encompassing book on theme park design? It really came about because I wanted one! I first had the idea when I was at university studying film, surrounded by books on every possible aspect of film-making, but when I began to move into themed design as a profession, I quickly noticed that same wealth of books wasn’t around. 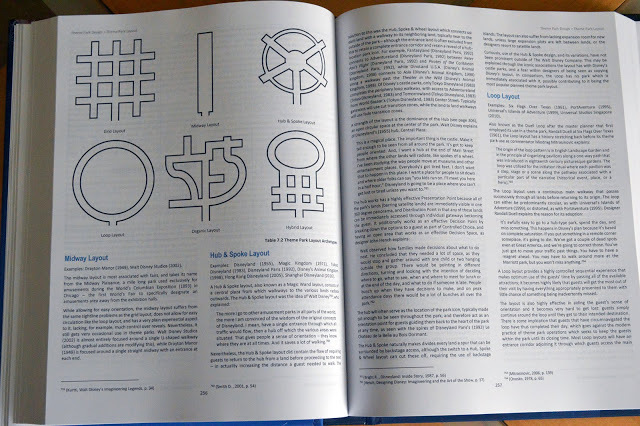 There are some fantastic books on themed design of course, but none that covered the subject in the detail I was after. After finishing my film studies degree, I needed to adapt my skill set to design, and realized that, if I was going to spend my time learning all of these amazing techniques, I should write them down into the book I always wanted, and which I was sure others would want too. What is your background and what makes you qualified to write such a detailed book on this subject? Well, like I said above, I began writing this book as a student, so it certainly isn’t written as “my wisdom” on the industry. Instead, I aimed to be a collector of information, seeking out designers for new interviews, or digging out older sources, and then organizing it all by topic. In fact, the process of researching this actually opened my mind to viewpoints I used to dismiss. I aimed to provide a thorough and balanced range of viewpoints throughout the book, showing the possibilities of themed design rather than the subjective “right way” of doing things. For example there’s the often debated topic of story in theme park attractions: Was Marc Davis right when he said, “We don’t really have a story, with a beginning, an end or a plot. It’s more a series of experiences building up to a climax” or was Marty Sklar right when he said, “Everything we do starts with the kind of story we want to tell, whether it’s the Haunted Mansion or Pirates of the Caribbean. […] Everything we do has a story.” Of course, both of them are right in different circumstances – The Twilight Zone Tower of Terror gains so much from its elaborate and atmospheric backstory, while the Haunted Mansion gains so much from the unexplained nature of its inhabitants – so I tried to explore what makes one approach suited to one situation, and the other vice versa. Now as well as that I’ve also submerged myself in the themed design industry as well. I was invited over to Walt Disney Imagineering for six months in the process of writing the book (the person that made it all happen said, “Well you can’t write about theme park design without experiencing Disney” – and boy was he right! ), where I contributed to projects from the upcoming Star Wars land to Tokyo Disney Resort and I’ve served as an elected member of the Themed Entertainment Association’s International Board of Directors. I was very lucky in being to open doors with numerous designers, past and present, Disney and non-Disney, and incorporate their perspectives into the book. Who do you think would benefit from Theme Park Design the most? 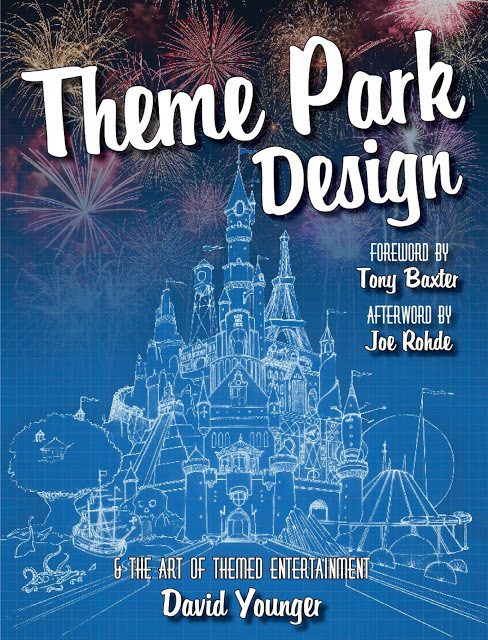 I’ve described the book as “a handbook for the practicing designer, a textbook for the aspiring student, and a behind the scenes guidebook for the theme park fan,” so I really hope all three of those audiences will gain something from the book. So far I’ve received really great feedback from all three groups, which I’m really happy with – I’ve even had design companies tell me that they’ve been buying the book to give to their new clients as a way of explaining just how vast themed design is! This feels like the type of book a college course would be used to teach theme park design. Was that the intention and are any colleges using it as a reference tool? That was absolutely the intention and the book has taken up by a number of universities in the United States and Europe teaching themed design. The one I’m most proud of though is UCLA’s Art and Process of Entertainment Design course, which is the only themed design course officially endorsed by Walt Disney Imagineering, incorporating Imagineers as the class lecturers. As of September last year, my book is the official textbook for that course! 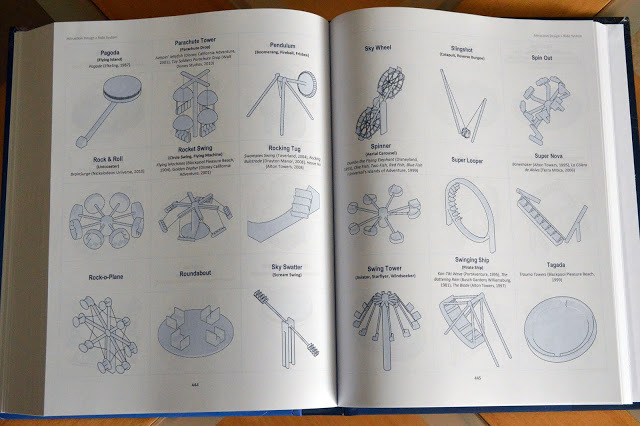 At 550+ pages, it is hard to believe there might be, but was there anything you left out of the book that you could have included? There certainly was. 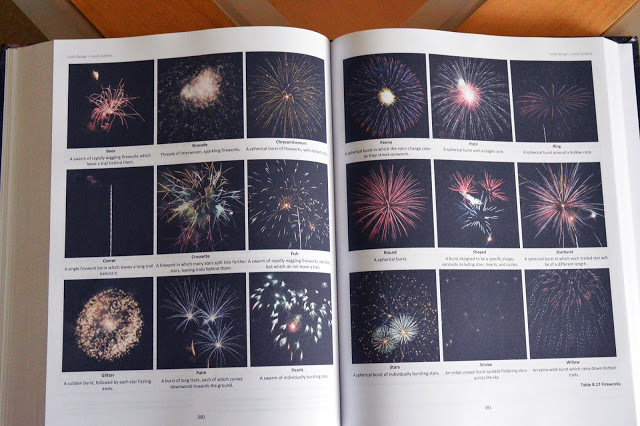 The biggest limitation was actually the number of pages that could be physically bound in a single book (for a brief time I even had to consider splitting it among multiple volumes!) In the end it came down specifically to the creative design of theme parks, so subjects like operations and engineering had to be cut. I did have a section on the future of theme parks, but I decided that the most interesting information came from the “lessons learned” from design so far, and the time to write about those new technologies was when they had debuted. I also included a section responding to critics of theme parks, but I realized if a person was reading this book, they’d undoubtedly agree that themed design is a fantastic medium already! The biggest exclusion had to be images, and while I’ve had some disappointed feedback to that, the page limit made me choose between information and pictures, and it’s the information that’s important, unique, and new here – especially to readers who must have a library of theme park images in their minds already. Who were your biggest supporters on the project? I had the tremendous honor of being able to speak with a LOT of themed designers in putting together this book and it’s really great to be able to say how generous and accommodating they all were. People would set aside hours at a time for me to interview them, invite me to their design studios, help me track down elusive pieces of information, and give their perspective on the developing manuscript. Along with a number of individuals at Imagineering, my biggest thanks need to go to the two names on the cover – Tony Baxter and Joe Rohde, who wrote the foreword and afterword respectively. They’re both incredibly designers, and to have their thoughts bookend my work is an incredible feeling. More than once I sat with Tony in his office, picking his brain about everything from the Indiana Jones Adventure’s layout to Journey Into Imagination’s development process, until well past the time I was off the clock. Some of my favorite moments working on the book were sitting with Tony and getting his advice on the structure of it – how to break up such a complex discipline into topics and subtopics that a reader could navigate their way through without overwhelming them. Are there any interesting stories you learned while researching theme park design that stand out? The most interesting things for me were the smaller discoveries – the design decisions that you don’t pay attention to because they work so flawlessly, but which you recognize the cleverness of when it’s pointed out to you. Things like the main showroom, the Cavern of Bubbling Death, in the Indiana Jones Adventure, being at a forty-five degree angle to the rest of the show building. Why is that? It’s because it creates interesting corners around it that the ride vehicle can dart in and out of. I got to hear from Steve Kirk about how the land mix for Tokyo DisneySea came together (the rides that anchored the lands, and the ideas that were cut), from Tom Morris about the process for designing Le Chateau de la Belle au Bois Dormant in Disneyland Paris (and his five rules of good castle design), and from Bob Weis about the decision to reinvent Disney California Adventure (and how just the simple repainting of a railing can have a massive effect), and so much more – all stories that made it into the book! 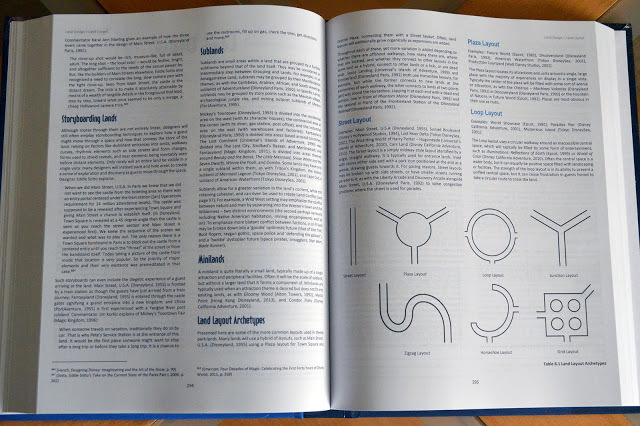 As the medium of attraction design evolves, do you see the book being updated to reflect changes and innovations in the industry? Without a doubt. I’ve already got an ongoing document listing topics and insights that could go into a second edition, and I’ve been contacted by lots of designers who’ve offered their input into a future edition too. The past few months I’ve also been working on a follow-up to this book – a sort of companion guide which is tremendously fun to research and I hope is something people will enjoy whenever it gets released. Just thinking about projects from the last year opens so much potential – Shanghai Disneyland, Pandora, Frozen Ever After, Race Through New York Starring Jimmy Fallon, Derren Brown’s Ghost Train… Themed design is such a rich medium with so many different elements that can be pulled into it, that there’s always going to be things to add to the book, both things that worked and things that didn’t, that designers and fans alike will undoubtedly appreciate and enjoy. I know many readers of Theme Park University are interested in (or are studying) some form of theme park design. This is the end all of textbooks on the subject matter. If you’ve ever had a random question pop up in your head on just how all of these projects really and truly come together, “Theme Park Design” is your encyclopedic reference tool that you will pull off your shelf over and over again. Click below and pick up a copy. I can’t imagine it not being in my personal collection. This entry was posted in Theme Parks 101 and tagged Attraction Design, David Younger, Imagineering, theme park design, Universal Creative. Bookmark the permalink. Trackbacks are closed, but you can post a comment.